It’s been 30 years. 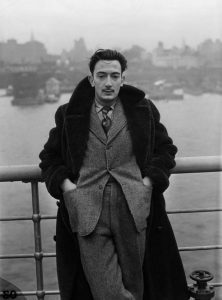 Thirty years since the world lost one of the most important, gifted, controversial and colorful artists of all time: Salvador Dali. January 23, 1989. 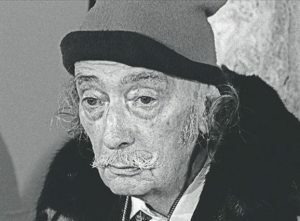 The day Dali died. It still makes me twitch a little with sadness, just writing those words. People ask me all the time, “What is it about Salvador Dali that interests you so much?” I always respond with a three-part answer. First, I loved Dali’s ideas. He always managed to put a new and special twist on things, no matter what the subject. He not only saw things differently than others – thanks to his Paranoiac-Critical creative method – but he set out to be different. He intentionally endeavored to zig when all the others chose to zag. Dali’s ideas were extraordinary. And his ability to lend concrete execution to irrational thoughts resulted in some of the most bizarre and fascinating paintings, prints, drawings, watercolors, sculptures, and more. Look, for example, at the great masterwork, Corpus Hypercubus. Not enough to simply paint an image of Jesus on the cross. 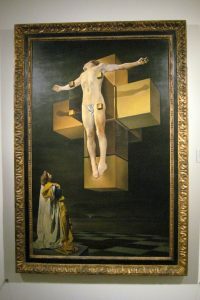 Dali had this most iconic historical event revolve around a hypercube – nodding to his keen interest in the exactitude of mathematics, and lending a kind of transcendent spiritual dimension to this monumental canvas, which hangs in the Metropolitan Museum of Art in New York City. Corpus Hypercubus an example of the Dali difference. The perfection of the work’s execution brings me to my second reason for admiring Salvador Dali as I do. In a word, technique. Everyone acknowledges (I don’t think anyone could demur) that Dali’s technical skill was about as perfect as it gets. 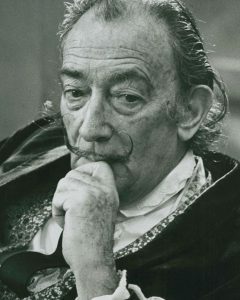 His exceptional talent with a paint brush – a talent exhibited very early on in his youth – allowed Dali to make the unreal real. 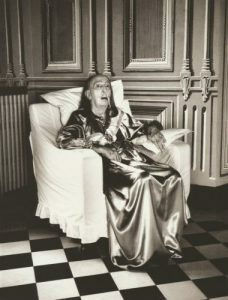 We see impossible images somehow come to life, thanks to a photographic realism of which Dali was inimitably capable. Take, as just one example, Nature Morte Vivante (Dali Museum, St. Petersburg, Florida). 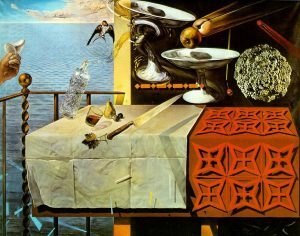 We see a mélange of objects floating around – “rumping and jumping about,” as Dali once described it – and it seems almost like a photograph, owing to Dali’s razor-sharp technique. Who could not admire such skill? Hand-painted color photography: Nature Morte Vivante. 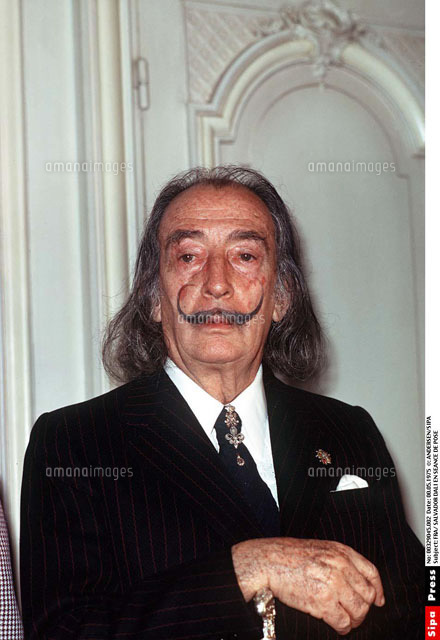 And the third reason Dali fascinates me is that he was such a great nonconformist. He did what he wanted, how and when he wanted to. When fellow students dutifully did what their professor asked them to do at the San Fernando Institute of Fine Arts in Madrid – paint an image of a particular statue – Salvador painted a pair of scales. I love a contrarian! When artists in the 1960s were caught up in a new wave of abstraction, Dali never cut the creative chord between the Old Masters and himself. He “became classical,” and remained wedded to long-standing traditions of craftsmanship. He didn’t follow the others on the same road; he paved his own. 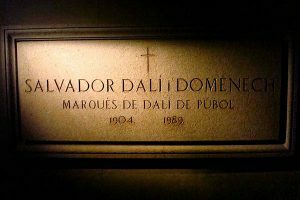 And, of course, all the colorful, humorous public antics and happenings and such – ingeniously calculated to make “people speak of Dali, even if they speak well of him!” as he jocularly proclaimed. Dali was performance art before performance art was cool. Thirty years ago, the master of surrealism left this earth. 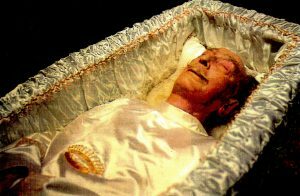 In the late 1940s he rediscovered and embraced his earlier Catholicism. It’s my hope he made it to heaven, because his God-given talent simply must persist – just as his most famous work of art, The Persistence of Memory, continues to persist in the world’s consciousness. 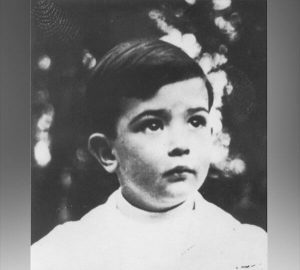 “Geniuses never die!” Dali declared to the world, when he was brought out in a wheelchair from the hospital, following treatment for burns he suffered in a fire in his bedroom. 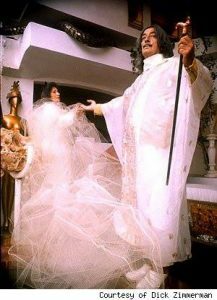 Not long after, on January 23, 1989, Salvador Dali passed as a result of cardiac arrest. His spirit and genius live on eternally, found in the paintings, drawings, prints and more that are acknowledged as some of the most sensational, beautiful and important art ever created.